The Grand Island E-News at Isledegrande.com continues to gain new readers and averages 7000 readers a week. The staff at Isledegrande.com urges all of our readers to consider a donation in any amount so that we can continue to provide Isledegrande.com as your #1 newspaper. The purchase of jewelry from deSignet Jewelry International is also an excellent way of supporting Isledegrande.com. Our page counters tell us that approximately 7000 people are looking at our site every week. We ask everyone who intends to help us, to do so now. Consider your donation the cost of a subscription and you get to decide the price! December 17, 2009 . . .Isledegrande.com will be updated with a new front page on Wednesday, December 23rd and on Wednesday, December 30th. We will be publishing the first issue for 2010 on Thursday, January 7th. November 5, 2009 . . . The staff at Isledegrande.com is truly appreciative of the response to our call for help from approximately 101 readers and groups who have come to our aid with monetary donations. We are urging all of our readers to consider a donation in any amount so that we can continue to provide Isledegrande.com as your #1 newspaper. The purchase of jewelry from deSignet Jewelry International is also an excellent way of supporting Isledegrande.com. These are just a few of my favorite photos submitted by our readers. Click photos for a larger view. 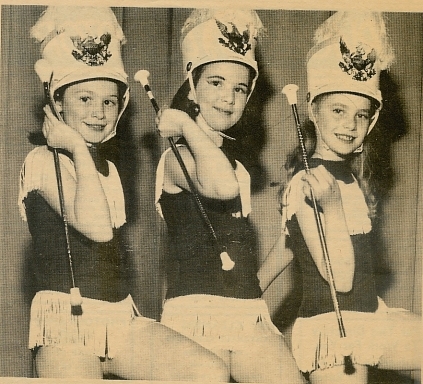 Have you looked at our "Old Photo Album" lately? Would you like to submit one (or more) of your older photos for consideration? I'm looking for pictures from all eras and you can help by either scanning your photo(s) and emailing to teddy@giecom.net or by stopping by the Isledegrande.com office, 1871 Whitehaven Road, where I will scan it while you wait. We are located between deSignet Jewelry and Hairitage Hair Salon. December 31, 2008 . . .Isledegrande.com welcomes all kinds of news - especially brides and new babies. If you would like to let the world know all about your new baby, send a photo and information and we will post it the same week - no charge of course! We're hoping to make an announcement this month of Grand Island's first baby born in 2009. Send all news/photos via email to the editor's desk at teddy@giecom.net. Click Babies 2008 to see those newborns posted at Isledegrande.com in 2008. The Grand Island E-News at Isledegrande.com broke another record in "unique visitors" to the Isledegrande.com site during the month of October 2008. Total "unique visitors" for the month of October 2008 reached 33,418. The Grand Island E-News at Isledegrande.com broke records in July, August and September. We have gained new readers continuously and evidently they are staying with us as the numbers show. Thank you, everyone. There is currently a problem with Internet Explorer software, causing the most current news at Isledegrande.com to not show up. It may be necessary to right click on the page, choose "refresh," in order to update the page. The Grand Island E-News at Isledegrande.com broke another record in "unique visitors" to the Isledegrande.com site during the month of July 2008. Total "unique visitors" for the month of July 2008 reached 29324. The Grand Island E-News at Isledegrande.com broke another record in "unique visitors" to the Isledegrande.com site during the month of May 2008. Total "unique visitors" for the month of May 2008 reached 28851. The Grand Island E-News at Isledegrande.com broke another record in "unique visitors" to the Isledegrande.com site during the month of March 2008. Total "unique visitors" for the month of March 2008 reached 28,076. The Grand Island E-News at Isledegrande.com broke another record in "unique visitors" to the Isledegrande.com site during the month of February 2008. Total "unique visitors" for the month of February 2008 reached 27,283. December 27, 2007 . . .Isledegrande.com welcomes all kinds of news - especially brides and new babies. If you would like to let the world know all about your new baby, send a photo and information and we will post it the same week - no charge of course! We're hoping to make an announcement this month of Grand Island's first baby born in 2008. Send all news/photos via email to the editor's desk at teddy@giecom.net. Click Babies 2007 to see those newborns posted at Isledegrande.com in 2007. The Grand Island E-News at Isledegrande.com broke another record in "unique visitors" to the Isledegrande.com site during the month of October 2007. Total "unique visitors" for the month of October 2007 reached 26,289. Staff members of Giecom/Isledegrande.com dressed in costumes on Halloween 2007. The staff voted the best costume was that of Mandy Malaney, hands down! October 8, 2007 . . .The Grand Island E-News at Isledegrande.com apologizes for the break in service due to weather conditions on Sunday, October 7th and early Monday, morning. We are aware that some email directed to us here at Isledegrande.com did not go through. If you have emailed news in the last few days, please resend it. August 2, 2007 . . .The Grand Island E-News at Isledegrande.com broke another record in "unique visitors" to the Isledegrande.com site during the month of July 2007. Total "unique visitors" for the month of July 2007 reached 25,261. As most everyone knows, here at Isledegrande.com we have created individual news pages for well over 100 organizations and churches. We promote community events, club meetings, special church services and celebrations, fundraisers of all kinds, and much, much more. Many groups and churches are and have been taking advantage of this free service. Event news sent in by your group is featured on our front page, is posted in our Calendar of Events which is mailed to all groups on a weekly basis, and often times your news is mentioned in the "Between the Bridges" column - just one more means of getting the word out about your functions. Click Isledegrande.com Groups Page and find your organization's page. Is your particular organization taking advantage of your own free web page? The Grand Island Chamber of Commerce page is an excellent example of publicizing group news as the Chamber has done for six years - since our inception. For information on how to submit your news and photos, scroll to the bottom of the Isledegrande.com Groups Page to "Send Us Your News." To search the entire Isledegrande.com site, just go to the bottom of the news posted on the front page of Isledegrande.com. There you will find a Google search where you can fill in a "search box" with whatever you are looking for. July 5, 2007 . . .The Grand Island E-News at Isledegrande.com broke another record in "unique visitors" to the Isledegrande.com site during the month of June 2007. Total recorded for the month of June 2007 reached 21,739. Isledegrande.com Publisher Reg Schopp has created a new format for the Grand Island High School Reunion pages. Now each class news page will include a special link to our Guestbook, for the specific class. It will also include a link to Guestbook entries for a specific class. This will make it easier for reunion planners to keep up with classmates and their email addresses. The email addresses in the Isledegrande's Guestbook have been reformatted to protect them from spiders and spammers. GIECOM.NET Office, 1871 Whitehaven Road, Grand Island, NY 14072. Click for the "Reunion Central." April 5, 2007 . . .The Grand Island E-News at Isledegrande.com broke another record in "unique visitors" to the Isledegrande.com site during the month of March 2007. Total recorded for the month of March 2007 reached 20,044. December 28, 2006 . . .The Grand Island E-News welcomes all kinds of news - especially brides and new babies. If you would like to let the world know all about your new baby, send a photo and information and we will post it the same week - no charge of course! We're hoping to make an announcement this month of Grand Island's first baby born in 2007. Send all news/photos via email to the editor's desk at teddy@giecom.net. Click Babies 2006 to see those newborns posted at Isledegrande.com in 2006. News for the next issue of Isledegrande.com should be sent in by Wednesday morning, November 22, 2006. Next week's news will be published on Wednesday, November 22nd due to the Thanksgiving holiday. Send your news to teddy@giecom.net. Send us your storm stories to teddy@giecom.net. Include what your family did to keep busy without radio or TV and how you prepared meals. Did your home or garage suffer structural damage? Anything else interesting or unique? All submissions will be considered for publication. Please include your full name and the street that you live on. July 5, 2006 . . .The Grand Island E-News at Isledegrande.com broke another record in "unique visitors" to the Isledegrande.com site during June 2006. The March 2006 record total was 16,754 and the total recorded for the month of June 2006 reached 17,287. April 1, 2006 . . .The Grand Island E-News at Isledegrande.com broke another record in "unique visitors" to the Isledegrande.com site during March 2006. The January 2006 record total was 14,718 and a total recorded for the month of March 2006 reached 16,754. February 1, 2006 . . .The Grand Island E-News at Isledegrande.com broke another record in "unique visitors" to the Isledegrande.com site during January 2006. The June 2005 record total was 14,116 and a total recorded in the month of January 2006 reached 14,718. The Grand Island E-News welcomes all kinds of news - especially brides and new babies. If you would like to let the world know all about your new baby, send a photo and information and we will post it the same week - no charge of course! We're hoping to make an announcement this month of the E-New of Grand Island's first baby born in 2006. Send all news/photos via email to the editor's desk at teddy@giecom.net. Click Babies 2005 to see the babies posted at Isledegrande.com in 2005. Isledegrande.com is looking for a school board reporter to cover the Grand Island School District board meetings, held the second and fourth Monday of each month and usually lasting from 1-2 hours. Those interested in the position are asked to send a resume to Isledegrande.com c/o Teddy Linenfelser, 1871 Whitehaven Road, Grand Island, NY 14072. For further information, call 773-6789 ext. 116. 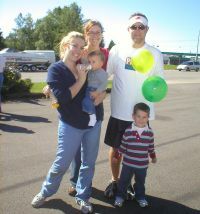 (left) Shannon, Chelsea and Marge Robillard, Kim Schopp, Sondra DeFranks with her husband Paul and children, Ava and Benjamin, and behind them are Reg Schopp, Dan Robillard, Jodi Robinson and Dan McMahon. Center photo shows Molly, Bridget, Sue, Peter and Dan McMahon. Right photo shows Betsy Cali with baby Jacob and 3-year-old Joey (front) and Carolyn and Mike Schopp. Click photos for a larger view. Perfect weather prevailed on Saturday, October 1, 2005 for the Isledegrande.com birthday bash held in front of our Whitehaven Road office. Our Isledegrande.com team provided hot dogs, pop corn, Isledegrande.com cookies, beverages and balloons for the kids. We have completed five years of publishing all Grand Island news and pictures and look forward to many more years of news service to the Town of Grand Island. Many thanks to our long list of advertisers and a tip of the hat to Reg Schopp, owner and publisher who makes it all possible. September 13, 2005 . . .Isledegrande.com's Grand Island E-News, born on October 28, 2000, is the creation of deSignet Jewelry owner and publisher Reg Schopp. Readers of the free, on-line Island news are invited to a Birthday Bash, complete with hot dogs, home made cookies, fresh popcorn, and more. A tent will be set up in front of 1871 Whitehaven Road to draw attention to the event being held from 11 a.m. to 2 p.m. on Saturday, October 1, 2005. A Make an Offer Sale to reward Isledegrande readers will take place during the "party." Readers are invited to stop by, have a hot dog and go into the deSignet Jewelry shop and simply make an offer on in-stock case items. Bargains will prevail! Isledegrande.com's Grand Island E-News staff thanks the readers for their support and for passing the word, which continues to bring more and more residents and former residents to our news pages. "As I have said before, our reward comes in the form of numerous letters from our readers commending us on our news content, old photos, and a completely home town slant," Editor Teddy Linenfelser said this week. Greatly appreciated by all of us at Isledegrande.com are our advertisers. We offer a good deal at a low price and guarantee promotion of our advertisers whenever possible. Please click the word "advertisers" above and consider using their services and products whenever possible. GINEWS.net will also take you directly to Isledegrande.com, your #1 free news source. And the easiest way of all to get to our news is by making us your Homepage. June 30, 2005 . . .The Grand Island E-News at Isledegrande.com broke another record in hits (unique visitors) to the Isledegrande.com site during June 2005. The May 2005 record total was 12,931 and a total of 14,116 hits have been recorded for the month of June 2005. June 1, 2005 . . .The Grand Island E-News at Isledegrande.com broke another record in hits (unique visitors) to the Isledegrande.com site during May 2005. In May 2004 the record hits totaled 11,556 and at the end of the day, January 31, 2005, the count was 12,438. At the end of Tuesday, May 31, 2005 the total monthly count was 12,931. Thank you readers and thank you advertisers for putting your faith in our home town "paper." Let us Help with Your Technical Questions . . . Readers of the Grand Island E-News at IsledeGrande.Com are invited to ask questions and advice about their computers and tips for its operation. Are your questions as basic as, "How do I save a document or information to my computer and how would I go about looking back on it?" How About "Click and Drag" ,a simple way of lifting information from a web page or an email and putting it into a Word Document or another Email? How About:" Attaching Documents or Photos to an Email"? Would you like to know some tips on searching the internet that would bring you closer to what you are actually looking for versus 2,000,000 pages that some of your searches have brought up? We can answer most of your questions in a simple manner that is easy to understand - or as technical as you would like us to get. Send your requests for computer operation advice to Reg and we'll make your answers part of next week's news, first names only. February 1, 2005 . . .The Grand Island E-News at Isledegrande.com broke another record in hits (unique visitors) to the Isledegrande.com site during January 2005. In May 2004 the record hits totaled 11,556 and at the end of the day, January 31, 2005, the count was 12,438 - 882 hits higher. Once again we would like to thank are readers and our advertisers who have put their faith in our home town "paper." The Grand Island E-News welcomes all kinds of news - especially brides and new babies. If you would like to let the world know all about your new baby, send a photo and information and we will post it the same week - no charge of course! We're hoping to make an announcement in our January 6, 2005 edition of the E-New of Grand Island's first baby born in 2005. Send all news/photos via email to the editor's desk at teddy@giecom.net. Click Babies 2004 to see the babies posted at Isledegrande.com in 2004. Grand Island E-News Begins 5th Year As Island's #1 News Source!! The Grand Island E-News kicks off its fifth year with this issue. The Grand Island E-News, read around the world, is updated every week and often on a daily basis. We have pledged to print all and only Grand Island, NY news, and we believe we've done this, from the first E-News that hit the internet on October 28, 2000 through today. Our reward comes in the form of numerous letters from our readers commending us on our news content, old photos, and a completely home town slant. Isledegrande.com's staff at the Grand Island E-News includes owner Reg Schopp, News Editor Teddy Linenfelser, Schools Liaison/Marketing/Website Design Representative Jodi Robinson, and Marketing Representative Dan McMahon. As we enter our fifth year as Grand Island, New York's #1 news source, please keep in mind that we welcome your news. Just email teddy@giecom.net with your upcoming events, including human interest items, sports, weddings, births, deaths, business promotions, and awards. The nation will be celebrating National Newspaper Week October 3-9. "Since 1940, the Newspaper Association Managers have sponsored and financially supported National Newspaper Week, a week-long celebration showcasing the impact of newspapers on the everyday lives of our citizens." This information and more on NNW is available at www.kypress.com/nnwkit. The Grand Island E-News, a Grand Island, New York news source since October 2000, has produced 200 issues of all Grand Island news. And all 200 "issues" are on line to go back to. We encourage readers to submit their big news, personal news and organization news along with photos. We have set up over 100 webpages for our Island groups, free of charge. News of organizations, churches and clubs as well as once in a lifetime events, may be submitted at any time and will be posted not only on the group webpage, but on our front page of the Grand Island E-News at Isledegrande.com and in our calendar of events as well. Let us know how we can help you promote your events. Let us know what you would like to see in the Grand Island E-News. We are always open to suggestions and new ideas. We ask you to patronize our advertisers who support the E-News. The next time you enter an Isledegrande.com advertiser's place of business, let it be known that you saw the ad in the Grand Island E-News at Isledegrande.com. These are the folks who are making it possible for us to celebrate National Newspaper Week again this year. The 97 Rock Labatt Blue Friday Office Party won by the Raru.com office staff and friends and held in the deSignet Jewelry Store was attended by over 40 people. Employee Mary O'Brien won the party held Friday, September 24, 2004. A representative of the Buffalo Jills was there to keep things rolling and a Tops buffet and beverages were provided. Congratulations to Mary O'Brien who won a 97 Rock Labatt Blue Friday Office Party for Raru.com. The party for Raru.com employees and their friends is being held from 4-5 p.m. Friday, September 24th at 1869 Whitehaven Road. The Buffalo Jills will be in attendance (at least two of them), a tailgate spread of Tops foods will be brought in by 97 Rock, t-shirts will be given out and door prizes will round out the party. From time to time we have had requests to post classified ads in the Grand Island E-News. Therefore, beginning today, we have a classified ad page for Island residents to place their ads, free of charge. To have your ad placed on the Classifieds page, to run for four weeks, send it by email to Teddy Linenfelser or Jodi Robinson with the appropriate details. This is a free service for Grand Island residents. We would appreciate an email letting us know if your item is sold prior to the four-week run, and we will accept an email request to post it for an additional four weeks until the item is sold. Click "Classified Ads" to view the new page. May 31, 2004 . . .The Grand Island E-News at Isledegrande.com broke another record in hits (unique visitors) to the site during May 2004, just as it has done in March and April 2004. The old record of 10,483 was surpassed by a wide margin when the count reached 11,556 at the end of the day, May 31, 2004. Thank you advertisers for supporting our home town "paper," and thank you readers, for letting friends and family know all about our Island news, photos and features. April 15, 2004. . . The Grand Island E-News at Isledegrande.com has no connection with any other news source. All news and photos for Isledegrande.com should be submitted by email to news editor, Teddy Linenfelser at teddy@giecom.net. Isledegrande.com is presently averaging nearly 10,000 hits per month which makes it an excellent place for advertising. Grand Island E-News Celebrates 3rd Anniversary!! 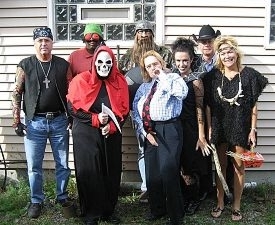 As the Grand Island E-News staff at Isledegrande.com begins its fourth year printing all and only Grand Island, NY news, it's a good time to reflect on how we started and how far we've come. The E-News was born on October 28, 2000 with nine Island articles and three color photos. We also printed the on-line paper and distributed it in Island stores and businesses. We found out just what "trial and error" really meant those first few weeks. Thanks to our faithful readers who have passed the word to friends and relatives to visit www.Isledegrande.com, our readership continues to grow and is now averaging nearly 8000 visitors per month. Headed up by owner Reg Schopp, our staff is made up of News Editor Teddy Linenfelser, Schools Liaison/Marketing Representative Jodi Dodd Robinson, and Marketing Representative Dan McMahon. For a closer look at what we're all about, click Anniversary. The Isledegrande.com Guestbook is up and additions will show up on a daily basis. Click Guestbook and sign in! July 31, 2003 . . .The Grand Island E-News at Isledegrande.com broke another record in hits to the site during July 2003. The old record of 8085 fell short at the end of the month when the count reached 8467. Thank you advertisers for supporting our home town "paper," and thank you readers, for letting friends and family know all about our Island news, photos and features. The Yellow Page icon in the shape of Grand Island on the front page of Isledegrande.com is a "click-to" to our Yellow Pages which lists ALL Island businesses. Make sure your listing in GIECOM's Yellow Pages is correct. Corrections may be emailed to jodi@giecom.net. Isledegrande.com's Business Sponsors are hyperlinked from our Yellow Pages, part of the "Sponsorship Package". This is just one of several places our advertisers are listed at Isledegrande.com. The Grand Island E-News at Isledegrande.com broke another record in hits to the site last week. The old record of 1924 fell short at the end of the week when the count totaled 2075. Thank you advertisers for supporting our home town "paper," and thank you readers, for letting friends and family know all about our Island news, photos and features. Isledegrande.com apologizes for the sporadic absence of our Guestbook Email Directory and Grad List. The problem has been resolved, and we regret any inconvenience this may have caused. Click Truth About Spam for the story. Isledegrande.com is looking for a school board reporter to cover the Grand Island School District board meetings, held the second and fourth Monday of each month and usually lasting from 1-2 hours. Those interested in the position are asked to send a resume with salary requirements to Isledegrande.com c/o Teddy Linenfelser, 1871 Whitehaven Road, Grand Island, NY 14072. For further information, call 773-6789 ext. 116. "WWW.GINY.US" made its debut on Friday April 18, 2003. Featuring a series of subjects about Grand Island life, it provides an interactive forum for Islanders from around the world. To Register Click Here and choose a username and supply a valid email address, and don't worry as it is protected. Your password will automatically be emailed to you. Then go to the Logon Screen and you are on your way. You won't be disappointed. We think it is the best thing that has happened to Grand Island since the bridges. The forum features a variety of ways to connect with others including live discussions, interesting topics and instant messages between online users. There is a language filter to make it fun and safe for the whole family. Also the Giecom Tech Crew acts as Moderators, viewing the message board for inappropriate materials. For those IsledeGranders who have signed our Guestbook, a Username and Password have been emailed to you. If you haven't signed the guestbook, just head over to our IsledeGrande Survey and Sign In. A great place to meet up with old friends. Check out our Guestbook and please consider signing on. It is a great way to hear from old friends and you can automatically be included in the email directory and the Isledegrande.com graduation directory which lists names by class year. Increasing readership and increasing the number of entries in our directories is what keeps the Grand Island e-News at Isledegrande.com going. Our sponsor? GIECOM.NET, internet access provider, technical services, website design and more. GI e-News Celebrates 2nd Anniversary!! Imagine a newspaper on line, available to former Islanders across the world and everyone right here in town - every week - with updates in between. Reg Schopp, who owns the companies involved, talked about the possibility for a long time before actually producing the first edition of the Grand Island e-News on October 28, 2000. We've come a long way in two years. Click Our First Issue and compare it with front pages of today. Our Grand Island e-News is strictly that - all and only Grand Island news, and our "hit count" is our reward and shows that readership has grown and keeps growing at a phenomenal rate. Because you like what we are doing here at Isledegrande.com, won't you please spread the word? Grand Island e-News at Isledegrande.com is sponsored by GIECOM.NET and located at 1871 Whitehaven Road (773-6256 - ext. 116). We welcome your news! We want your news! Group representatives are asked to email teddy@giecom.net upcoming events, including human interest items, sports, weddings, births, deaths, business promotions, awards....you name it. Most news will be promoted on the front page. Alexandria Francesca Anderson was born January 8th, 2002 at 8:37 a.m.
Tim & Patty Anderson of Spicer Creek Run are the proud parents, congratulations! The First Sesquicentennial Baby Contest is being sponsored by GIECOM.net. RULES: First baby born to Grand Island residents in this our Sesquicentennial Year of 2002! Call 773-6789 with your exciting news or email jodi@giecom.net. Deadline for consideration, February 15, 2001. Prizes: pedicure (Absolute Paradise), $20 gift certificate (Beach House Restaurant), gift pack (Chocolate House), bottle of champagne (Colonial Liquor Store), one month gift certificate (Curves for Women), pewter baby cup (deSignet International), fresh flower arrangement (Flower a Day), 5x7 portrait (Freelance Foto Service), $50 U.S. Savings Bond (HSBC-Grand Island), family portrait on website & framed photo (Isledegrande.com), two chocolate bottles (Kelly's Country Store), outdoor baby sign (Mr. Stork), $50 gift certificate (Phin's-Holiday Inn Grand Island), gift certificate (Wavelengths Hair Salon), gift certificate (X Press Cleaners) infant embroidered sesquicentennial tee shirt and baby blanket (Genesis Embroidery & Giecom.net). Currently, there is a new virus going around, and it's spreading at an unbelievable rate. This virus, known as the BadTrans (W32.BadTrans.B@mm) Virus, was discovered on November 24, 2001 and has since infected thousands of computers. The BadTrans Virus is a MAPI worm that emails itself out using different file names. If you have this virus, it WILL send itself to anyone you have ever emailed or received email from before. Once this Virus is opened on your computer, it will repeat the process and mail to everyone you have emailed in the past. Also, this virus makes a log of everything you type (logins, passwords, networks...) and mails the creators of this virus lists of all your information. This is a very dangerous virus. Unforunately, since this virus is sent out automatically from people's computers, you may get it from someone you know and trust, and could look to be safe. However, that person does not even know they have sent it to you. So, do NOT open attachments on emails UNLESS you are sure you know what it is, and you know the person has sent it to you. Another key giveaway for this virus is the filename and extension. The filename is very vague (Pics, images, README...) and there are TWO extensions on it (.doc, .mp3, .zip followed by .pif, or .scr). So for example, a filename could be Pics.doc.scr. If you see one of these files do not open them. If you believe your computer has been infected with this virus, all hope is not lost. This is a virus that can be repaired. First, make sure your virus protection is up to date, and run a virus scan. If the virus is found, your software will try to repair it. Unfortunately, this is a virus that is often unrepairable through the virus software. If you have this virus and your software cannot repair it, or if you have any questions regarding this virus, please feel free to call our tech support at GIECOM.NET at (716) 773-6789. 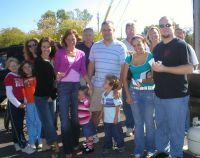 A Grand Island, NY Online Newspaper was born on Saturday, October 28, 2000 at "www.Isledegrande.com". That first issue carried nine stories with photos, including articles on the Connections Program, Crime Prevention and the Seneca Indian Land Claim. Longtime resident and jeweler Reg Schopp (deSignet International) has not only accomplished his dream of creating an on-line newspaper for the town of Grand Island, but has produced individual "news" webpages for most organizations, churches and schools on the Island. News editor is Teddy Linenfelser, formerly with the Island Dispatch and the Grand Island Record. Joelle Logue, former editor of the Island Dispatch and the Grand Island Record, covers town board action as well as other Grand Island news. Former school board member and local reporter Lee Cohen reports school district news. Barbi Lare and Fred Claus serve as news photographers. Bruce Muranis and Mike Mehltretter offer informative information regarding your PC and can fix any problems you may have with it. As part of the e-News birthday celebration, the first of several contests was announced last week. Readers are encouraged to check out the "Guess What" game page featured on today's front page. IsledeGrande.com, sponsored by GIECOM.NET, has been featuring Island information to the world continuously since 1997, connecting hundreds of old friends with its E-mail Directory and Graduation List, a record of which we are VERY PROUD! We have had over 77,000 readers visit our site since June 1999. The guest book has listed over 700+ new visitors each year since its debut in the fall of 1997, and at the present time we have over 2100 active e-mail addresses - and the list grows longer every day. GIECOM.Net announced today that it will be offering "WebAds" to benefit small retail businesses. The "WebAd" concept evolves around a permanent webpage under the GIECOM umbrella that will describe the business, including basic information about the owners, hours, services offered as well as location, phone numbers and photos of products. The URL (Universal Resource Locator or Internet Address) of this "WebAd" is unique and can be accessed in a stand alone format from anywhere in the world. The "WebAd" is $120 per year. If the business is interested, a front page link to the "WebAd" identifying new products or services, specials etc. will be available once a month for a $20 insertion fee. Check out our first "WebAd" customer, Maria's Hallmark. Make sure your FREE listing in GIECOM's Yellow Pages is correct. Please Fill out our online form. Please note the concept of our new "WebAd" is not to be confused with the ethnic colaloquialism "We Bad" although the statement definitely applies to GIECOM's Marketing Team. Your Grand Island e-News is providing special web pages for clubs, church groups, scouts, schools, town news etc. which have been set up to accommodate the stories we publish weekly. Your news is being archived one story (and picture) at a time, especially if you are contributing information to the Grand Island E-News on a regular basis. Your Grand Island e-Newspaper offers current town and school news, local obituaries, "Between The Bridges," an event calendar, "Old Photo Album of Pictures From the Past," and organization news. And if you've missed anything in our paper, it's still there. Just look back, as far back as you would like to. Each page is like a journal with the stories and pictures posted as far back as our beginning and the intent is to keep that concept. E-mail your news, announcements, photos and anything else you would like to have considered for publication. News submission may also be mailed or dropped off at Grand Island e-News, 1871 Whitehaven Road, Grand Island, NY 14072. For further information, call Editor Teddy Linenfelser at 773-6789. Are you interested in putting your products on the Internet? Reg Schopp and Kim Baldassare and the GIECOM.net marketing team will hold the first in a series of Web Information Seminars from 7:30-9 p.m. Monday, February 12 at the Village Inn. Hopefully, in reviewing your needs, we can simplify the steps for you to profit from Internet exposure. This is a perfect opportunity to find out just what makes a website work. Monday night's seminar will stress web design, web hosting, fees and marketing. There is no charge and refreshments and hors d'oeuvres will be served. Bruce Marinus offers the public personal home computer related trouble-shooting and tech support, computer repairs and upgrades and the building of new systems. Not sure of what kind of system you need, how fast it should be, or what size hard drive you should have? Bruce will explain what types of internet access are available and what is best for you. This is just one of the many services provided through GIECOM.net. February 8, 2001 . . .Kim Baldassare and the GIECOM staff have developed a marketing team unsurpassed by local competition. Combining the skills of Katerina Fees in site registration; Hollis Busch, website design specialist; Robert Kopf, graphic designer; Bruce Marinus, technician; Reg Schopp, marketing consultant; and Teddy Linenfelser, publicist. This team goes that extra mile with the services it offers to other on-line businesses, incorporating internet marketing with classic web design. In comparison to the thousands of other site developers, GIECOM.net has a successful track record of selling products, from hand-carved walking sticks at www.RandyMacIntyre.com to custom wedding rings at www.Raru.com and from Metro Realty's homes at www.gi-towncenter.com to collectible Teddy Bears at www.deelor.com. GIECOM offers internet access, website design and hosting, partnered with Prime Communications,largest ISP in WNY, for their internet backbone and technical support. It is definitely worth your while to consider GIECOM for your computer and internet needs. Site registration is an art in itself and is perhaps the most important part of internet marketing. Katerina Fees, with an economics background, has spent hundreds of hours researching each search engine's advantages and disadvantages, focusing on connecting GIECOM's websites to the world. With Hollis Busch in site design and development, Bob Kopf in graphic design, Reg Schopp for marketing and design skills, and Bruce Marinus for technical support, GIECOM's team is second to none. GIECOM is located in the center of Grand Island, NY at 1871 Whitehaven Road, next door to deSignet Jewelry. providing Webhosting to the Grand Island Community.